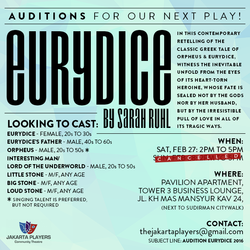 In Eurydice, Sarah Ruhl re-imagines the classic myth of Orpheus through the eyes of its heroine. Dying too young on her wedding day, Eurydice must journey to the underworld, where she reunites with her father and struggles to remember her lost love. 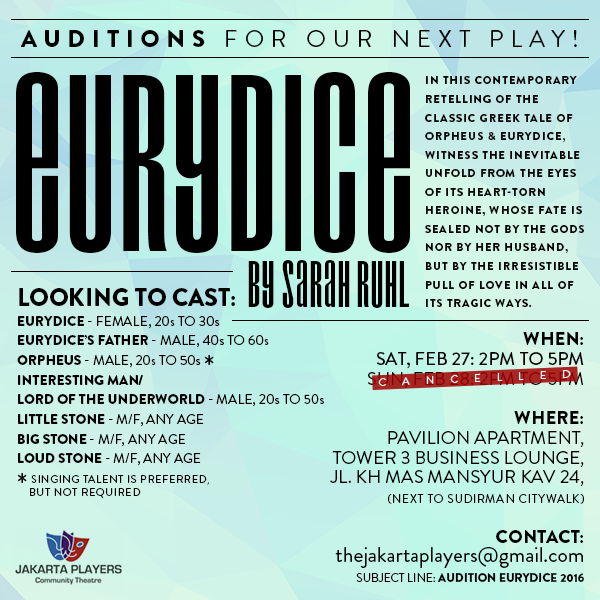 Please send an email to thejakartaplayers@gmail.com stating your intention to audition and for which role(s).